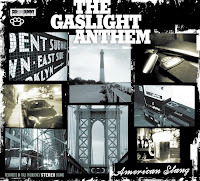 With American Slang, The Gaslight Anthem has once again honed their Jersey soul, punk and rock and roll roots into a powerful album of anthems and dirges. 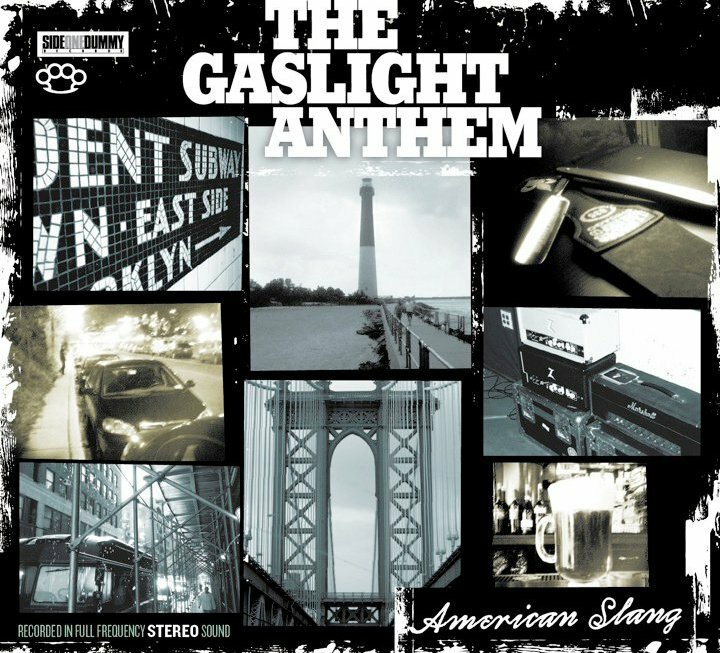 With two full length albums and an EP behind them, The Gaslight Anthem continues to mix the best ingredients of many genres to create something extremely unique and energetic. Even the slower songs have an undercurrent of unrest and drive that keeps them from settling into complacence. In fact, it's in those moments that The Gaslight Anthem really shows their range and talent as they craft eulogies and kiss offs that breathe, release and float off like clouds after a heavy rain. Make no mistake about it though, American Slang is full of high octane, fist pumping music that demands to be sung along to at the top of your lungs. Frontman Brian Fallon has described the lyrical direction of this album as being more personal and autobiographical than previous albums. While listening to the album, there's no doubt that he has really opened himself up and invites us into territory that he has previously only alluded to. Forgoing metaphors and vagueries, he chooses to drag his stories out of the shadows and asks us all, "you too?" Along side the essential Gaslight themes of love, heartbreak, looking back and moving forward, Brian writes about his relationships and his experience growing up without a father. Not only do I think he is just continuing to mature as a songwriter, I think he is intentionally trying to stand on his own, out from under the weight of his influences and heroes. Almost every review of The Gaslight Anthem mentions Bruce Springsteen or The Clash and it's time that they started getting credit for what they are bringing to the table themselves. American Slang is proof positive that they have earned it. Although there aren't as many references on American Slang as on their other albums, Brian still tips his hat to those that inspire him and got him into music in the first place. A close listen will uncover little nods to Tom Waits, Jimmy Cliff, Motown, The Clash, The Bible, The Wizard Of Oz, "Please Mr. Postman" and others. The first three songs that open the album, "American Slang," "Stay Lucky" and "Bring It On," all are straight up Gaslight rockers. Their desire to stretch out a little shows up on the soulful, almost Jamaican ska-esque riffs of "The Diamond Church Street Choir" and "The Queen of Lower Chelsea." While "The Spirit Of Jazz"and "Old Haunts" remind you that they know exactly who they are, they sprinkle a few more new ingredients into "Boxer" and "We Did It When We Were Young." With each new musical and lyrical turn, they make it sound like they've been doing it for years. American Slang is the sound of a young man's spirit living in an older man's heart. It's about learning how to accept certain truths and responsibilities, while still remembering the electricity of favorite records and the fireworks of first kisses. American Slang will be available on June 15th. 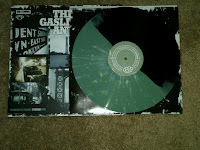 Oddly enough, I received the green/black split vinyl instead of the marbled grey. Oh well, vinyl is vinyl and it still looks pretty cool.